So what have I've been up to in my absence? Let me show you really fast. 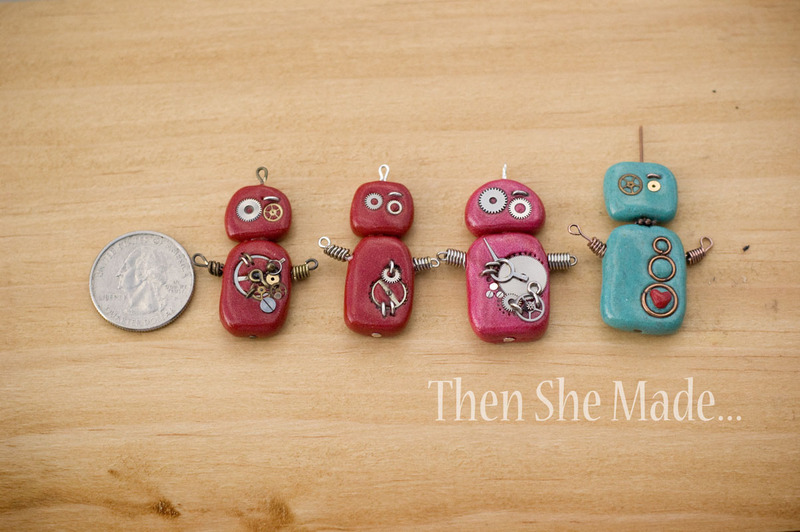 1 - Custom Orders: Look how cute! I know I made it so that might sound a little conceited but really the praise goes to a clever mom who contacted me recently. She had the fun idea to request a custom pendant that had her son's baseball number on it. Fun right?! Now she can wear it to his games. 2- Digging out! Yup, if you haven't heard, spring isn't happening anytime soon in Northern Colorado. We thought it was. 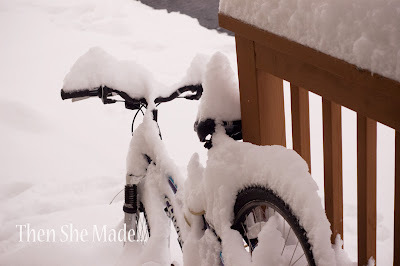 The girls have been on their bikes a few times and then we opened the door this morning to this! Crazy. We really need the moisture though so I'm thankful for it. Plus, added bonus, I got a snow day off of work - my kids were so jealous! 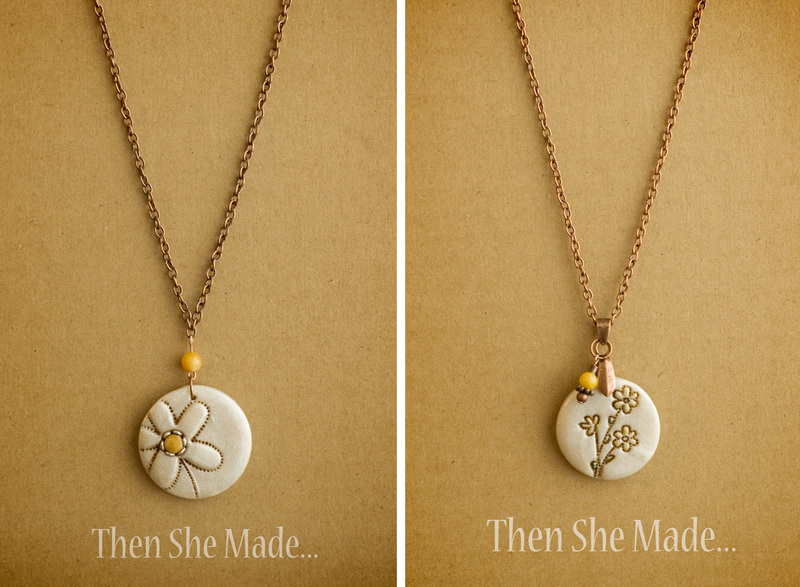 3- Mother's Day orders: I'm still running my mother's day special. 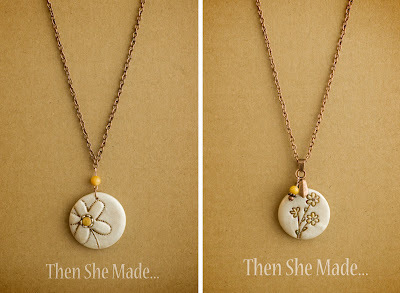 If you are interested in buying a gift for Mom, I'm offering 20% off of all orders over $10 in my Etsy Shop. 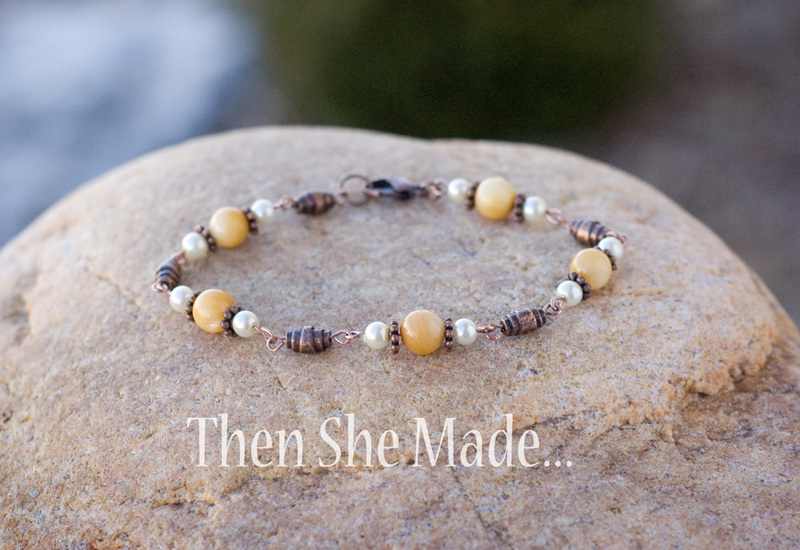 The offer runs until April 30th, just enter the coupon code MOM20 at check out. Also, kind of tied to the mother's day thing, I've been playing around with yellows lately. I love the color yellow but like it in small doses so I'm totally happy with these new pendants that just have a pop of yellow. Plus, they both go with this bracelet. 4 - So annoyed! I've been sporting this lovely thing for the last couple of weeks. I did something to my hand right before Christmas at work, I was putting a big bolt of fleece away and heard a pop, I just thought I pulled a muscle. Turns out it's really a crafters worst nightmare - carpal tunnel has set in since I hurt it and lately I've been struggling with it. Do you know how hard it is to play with clay, or close jump rings, or paint? Everything I love to do with my hands is difficult as my hand goes numb and then my arm aches. It's so annoying! The brace is helping though and I'm still crafting, I can't give it up as it's like therapy for me. 5- Thinking About Beauty! 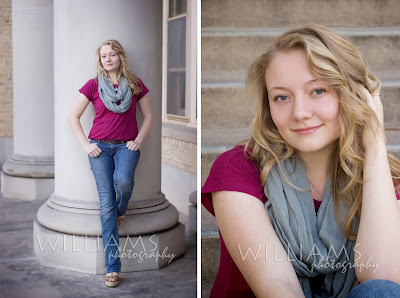 I wrote a blog post last week that I never posted. It's still sitting in my edit box waiting for action. I took a couple of my girls out last week and did a fast little photo shoot with them. It felt great to be behind the lens again and feel the spring air - yes, that was before #2 on this list happened. The problem was that as I was editing the photos I kept replaying some conversations I've had with my girls lately about beauty. Specifically how it's defined. I'm sad to admit that I haven't been very good about helping them define beauty in a way that goes against the stereotypes that society would have us believe. All three of my girls are struggling one way or another with the idea of beauty. The twins want to wear make-up to be more popular and Miss M is approaching the age of being able to date and has concerns of her own about being cute enough, noticeable enough, thin enough, blonde enough. The girls that get the dates all look a certain way. Don't my girls know how amazing they are? Haven't I told them? And for all three, they are amazing and beautiful but really it has absolutely nothing to do with their looks. It's who they are becoming. As a mom, and I know I'm not the only mom who does this, I push my kids to comb their hair, wash their face, match their clothes, and look their best but one thing I haven't been very good about is telling them "why" it's important to do those things. There is an inner confidence that grows when you know you are taking care of yourself and you respect yourself enough to clean up and look good. Sadly though, I think they are following what they are seeing in the media and through their peers and they think they have to look a certain way so they will be liked by others. They want to fit in, they want to be liked and they want to be beautiful. As a mom I need to continually fight against those messages they are being bombarded with it. It's not the make-up, waist size, or hair color that define beauty. This is occupying my mind like crazy lately. Do you have daughters? What have you done to help them understand that beauty is more than skin deep? 6- Robots - I've been making robots again. I've had some requests for these because of Robotics teams. Fun, right?! 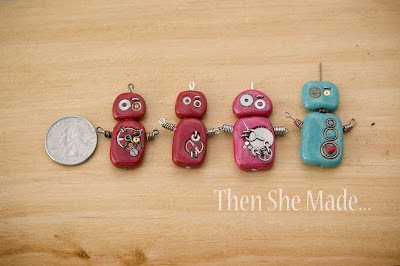 Just like the baseball pendant above, these little guys are going to moms who are supporting their kids robotic teams. I don't have photos but they come in green, purple, blue and grey too. ok, that's all - the end! 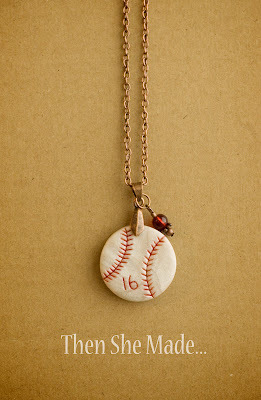 I love the baseball necklace...I might have had the idea..but you put the idea into reality..can't wait to wear it! Thanks Sarah - I think we make a pretty great team. Hi Amy-I've been following your blog for awhile now and i just wanted to let you know how much I appreciate your thoughtful posts. As the mother of two daughters in their 30's I can tell you that struggling with self-image is a lifelong battle. The world wants us all to be obsessed with the latest and greatest fashion look but of course that can change in an instant. The Bible tells us to pray without ceasing and and I believe prayer is your very best weapon in all of your battles. Your girls are blessed to have you as a mom and I'm sure they will make you proud as they grow older. About beauty... unfortunately is not just about what you have been telling them but what they have been hearing and seeing when they are not with you.